Original Programming Pays Off for Netflix: The 65th Primetime Emmy® Award Nominations Announced! Home » Original Programming Pays Off for Netflix: The 65th Primetime Emmy® Award Nominations Announced! It’s that time of year again, when television audiences get to see if their viewing tastes match that of the Academy of Television Arts & Sciences. 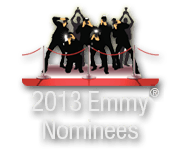 The 65th Primetime Emmy® Award nominations where recently announced and include mostly veteran nominees. Breaking Bad and Modern Family have both been nominated for a fourth time in their respective categories, while Mad Men and Jon Hamm have been nominated for a sixth time. Poor Jon Hamm has never won for his portrayal of Don Draper, but this is what we call a “high-class” problem. The most interesting nomination has to be House of Cards. It is the only addition from last year to the Outstanding Drama Series category, and more importantly, it is a Netflix original series. This is huge validation for Netflix, which took a major risk by producing its own content. 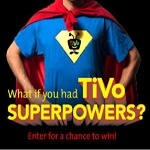 Check out House of Cards on TiVo, and avoid being the only one at your Emmy party who hasn’t seen this show. Besides giving you something to talk about (for all those times you’re forced to make chitchat with someone you hardly know), you may even learn something about the inner workings of Washington. Other notable additions include Jeff Daniels in the Outstanding Lead Actor in a Drama Series category for his role in The Newsroom, and Vera Farmiga (Bates Motel), Connie Britton (Nashville), and Kerry Washington (Scandal) in the Outstanding Lead Actress in a Drama Series category. Unfortunately, the Academy showed no love for two very funny ladies we love—neither Zooey Deschanel (New Girl) nor Mindy Kaling (The Mindy Project) was nominated, and neither were their shows. I guess there’s always next year. Check out the “2013 Emmy® Nominees” collection to see which of your favorite shows have been nominated. 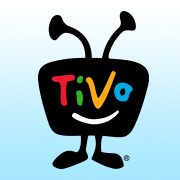 From TiVo Central, select “Find TV, Movies, & Videos” and “Browse TV & Movies” to find the “2013 Emmy® Nominees” collection.